Payment plans available with only 5% down, plus court cost if applicable. With most payment plans we will only need the down payment and court cost along with the Indemnitor (co-signer) signature. In some cases, we may need some collateral to secure the payment plan, for instance, if someone has Failed To Appear in court or if the Indemnitor does not have a steady income or history of employment, we may need collateral to secure the Bail Bond. We try to offer as many options to our clients as possible, the collateral excepted by Be Free Bail Bonds can be real property (House or Land) or vehicles that are not more than ten years old or extremely damaged, we may accept Gold and jewelry if appraised at a fair market price. Once a payment agreement has been met, payments can be weekly, bi-weekly, and monthly, payments cannot exceed the time period of the defendant’s case. If you have already set up a payment plan with us you can make a payment using our payment form below. You will need to use a debit/credit card or a pay pal account. If you have any questions please call us at (513) 228-2245 or email us at info@befreebailbonds.com. 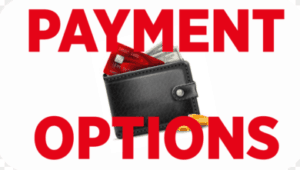 For clients already set up on a payment plan remember to make your payment on time, we reserve the right to charge a $25.00 late fee if your payment is more than five days past due. Please contact us if you are having problems making a payment.